I came across this extremely rare 1969 Buick Wildcat Gran Sport on Sunday at the Western New York Region Cadillac & LaSalle Club show held at Keyser Cadillac in Williamsville. No, it wasn’t in the show, but parked off to the side in the dealer parking lot. (You can often find some very interesting cars in the spectators’ lot.) Speaking with the owner, he told me he wanted a large, comfortable car to replace the ’65 Wildcat he wished he’d kept… and I’d say he got it! 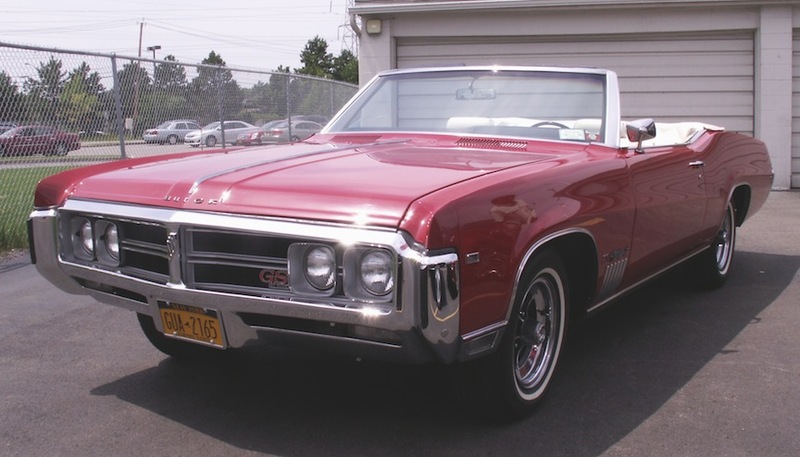 Brought in recently from Nevada, this Wildcat GS convertible is one of only 242 ’69 ragtops built. Probably one of the rarest cars we’ve featured here yet. And yes, it looks just as good in person — probably one of the newest-looking 46-year-old cars in town. ** addendum — the owner has informed me that it was the previous owner who had this Wildcat convertible converted to a “GS.” Factory-built GSes were made only for model year 1966, and the 242 figure refers to the 1966 Wildcat Gran Sport convertibles. A a total of 2,374 Wildcat convertibles were built for 1969. — Jim Corbran, RRofWNY KONICA MINOLTA DIGITAL CAMERA — Jim Corbran, RRofWNY The post RealRides of WNY appeared first on Buffalo Cars.